In an ever-changing world of advertising and promotion, we live in an age where it is not as easy for brands to just tell us what to buy, where to eat and drink and what to do with our lives. The world is savvy, opinionated and often stuck in their ways and so a wall has been created between brands and consumers, meaning brands having to work harder, be more creative and unique and catch people off guard in order to be and remain successful and profitable. This is an approach we like to take at every opportunity, to create something surprising and delightful for our clients, to really get through to their audiences. There are several major reasons why this has happened, largely because of the heavily saturated world of brands it is almost impossible to come up with something new. There is also now a multi platform approach, meaning that consumers are targeted in so many different ways that it’s a real skill to choose the most relevant and effective ones to target your specific audience. Lastly but by no means the final reason is the huge technological advances and these are definitely not going to halt any time soon. Although Guerrilla advertising is no new concept, it has evolved over the decades to represent something quite different to its original meaning. In the 1970s it was defined as a low cost, unconventional way of promoting a brand using methods such as graffiti and flyer posting, but now top brands are using these unconventional and imaginative tactics to really surprise their audiences into having a new perception of them as having an inspiring and intriguing brand offering and experience. 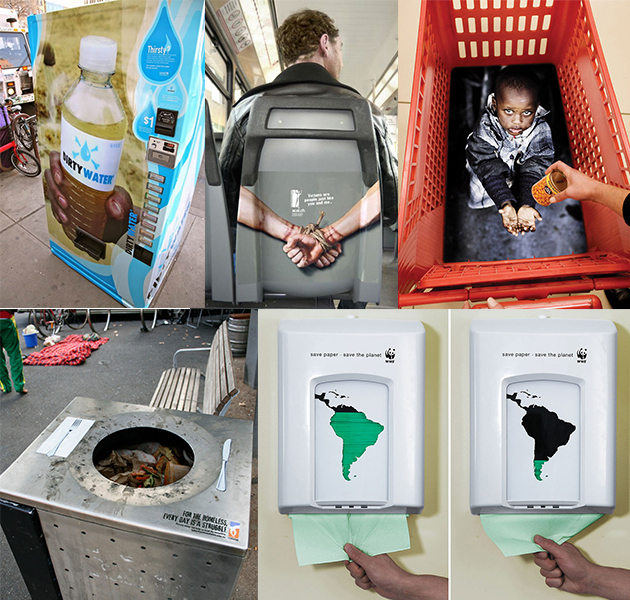 These campaigns give companies personality and can often be shocking, daring and have a high element of risk. However if the campaign is successful it will stay in consumers minds far longer than any conventional methods. Here is just a snippet of some of my favourite Guerrilla picks for this week, however I will be sharing many more with you in the months to come. Adidas were one of the first companies to adopt guerrilla-marketing methods in the 1970s when they were the first brand to embark in celebrity endorsement with Run DMC. Although this is one of the most conventional means of promotion these days, this was something completely new at the time which meant it was very effective. They have continued to think outside the box all across the world with attention-seeking pop up shops, mysterious give away ideas and competitions, powerful billboards and many other ingenious ideas. 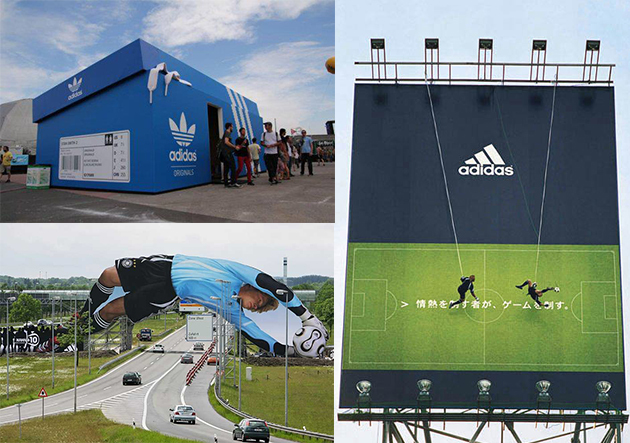 They even set up a vertical football match in Japan that was played against a billboard backdrop 12 storeys high in an attempt to bring football into Japan as an actual recognised sport. 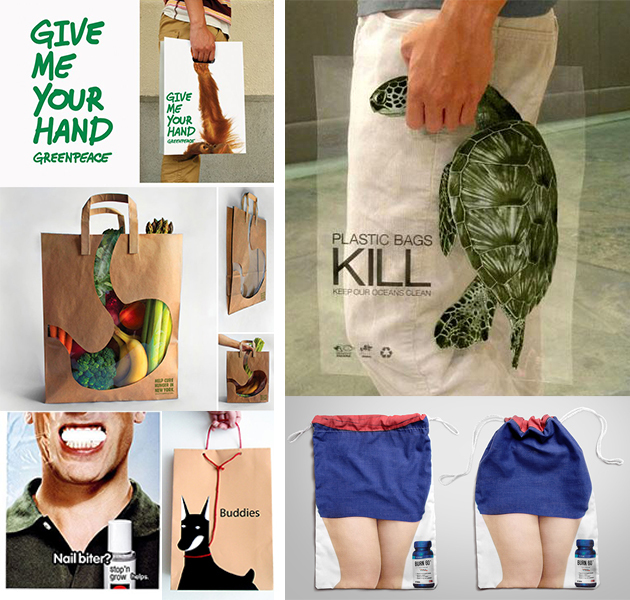 We acquire and carry bags every day so what better place to advertise your product or brand. 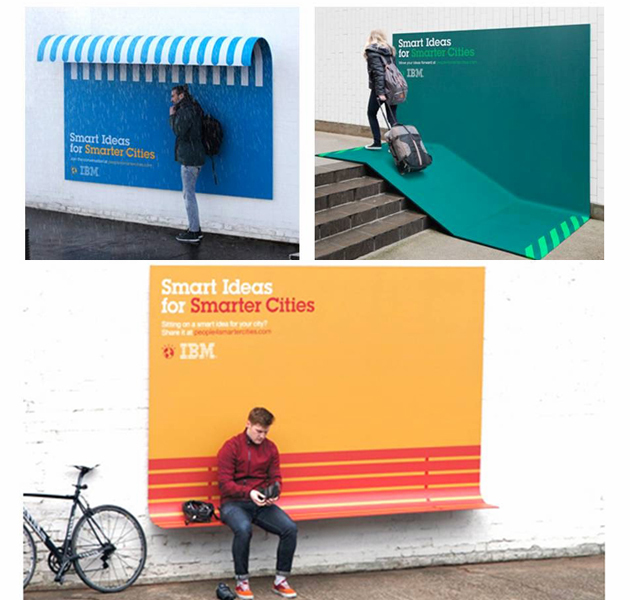 These examples have used this medium in the most innovative ways possible to really get their message across. FIAT wanted to get across how versatile and capable its new Panda Cross car was and so they took to the streets of London to deliver an outdoor campaign with a difference. They applied rain activated water stencils to the ground that ‘magically’ appeared when it rained. This was a completely different approach and through doing this they aim to attract consumers by being a car (or brand) like no other. As we work with a lot of charities we are always interested to see how organisations whose purpose is to influence some kind of social change get their message through to the public. We love working with charities, as they are daring, bold and never afraid to go the extra mile to support their cause. Here are a few powerful examples that I feel are extremely well thought out and effective. This is a good few years old now but personally one of my favourites. Carlsberg have been spot on with so much of their advertising over the last few years and clearly understand their target consumers to the core. I hope it makes you smile as much as it did me. I hope you enjoyed the read, there will be plenty more brilliant examples to come.